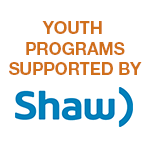 Drop-in programs are indicated in orange. Drop-in, no registration required. Priority for people living on low incomes. Registered programs are indicated in green. Registration is on-going for all of our programs. Please click on the program and contact the staff member listed in the descriptions to register. All programs are free and prioritized for people living on low incomes. A 12 week program to help you improve your well-being through healthy cooking and gentle exercise in a positive, supportive environment. Who: Community members. Registration required. Grow your leadership skills and change your community with the power of good food! Who: Youth aged 14-24. Registration required. A 12 week program to help you improve your well-being through healthy cooking and gentle exercise in a positive, supportive environment..
Who: Community members. Registration required. Please note: tours are offered the FIRST Friday of every month. Learn more about the programs we offer and our vision for connected communities that grow, cook, share and advocate for good food. Who: Anyone! If coming with a large group, please contact ahead of time.